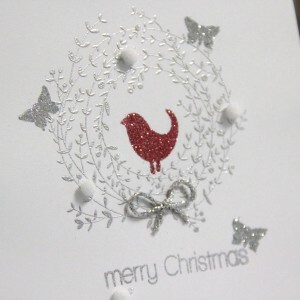 I like this topic – Silver, it is great opportunity to use nice silver embossing ink. I made christmas card with wreath stamp which I designed. 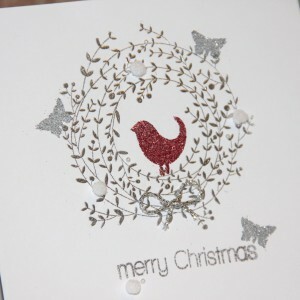 I add some self adhesive gems, silver string. Butterflies and bird is made with double sided adhesive Silhouette foil, I punched shapes and after peeling both sides I used glitters. It looks very soft and nice. I hope you will like my card. Oh I did not mentioned cute mini pompoms, they are so sweet. 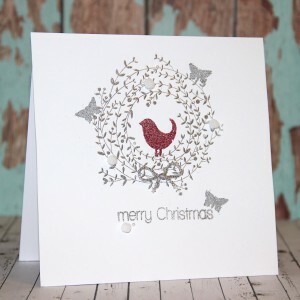 This entry was posted in Challenge and tagged cardmaking, Challenge, silhouette. 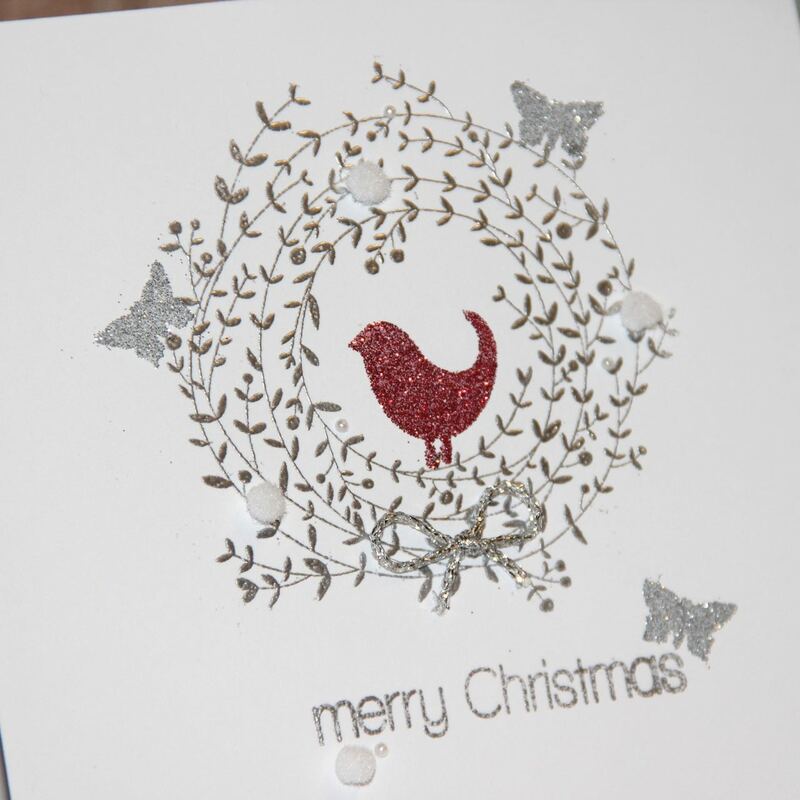 Kate your card is lovely and so creative. Great job. This is beautiful. Love that pop of glittery red with the silver. Perfectly balanced. Wow, did you really design that gorgeous wreath? 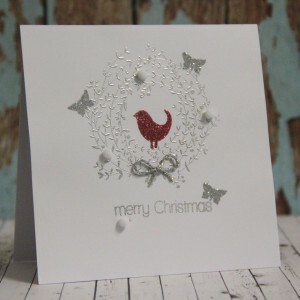 What a GORGEOUS card! 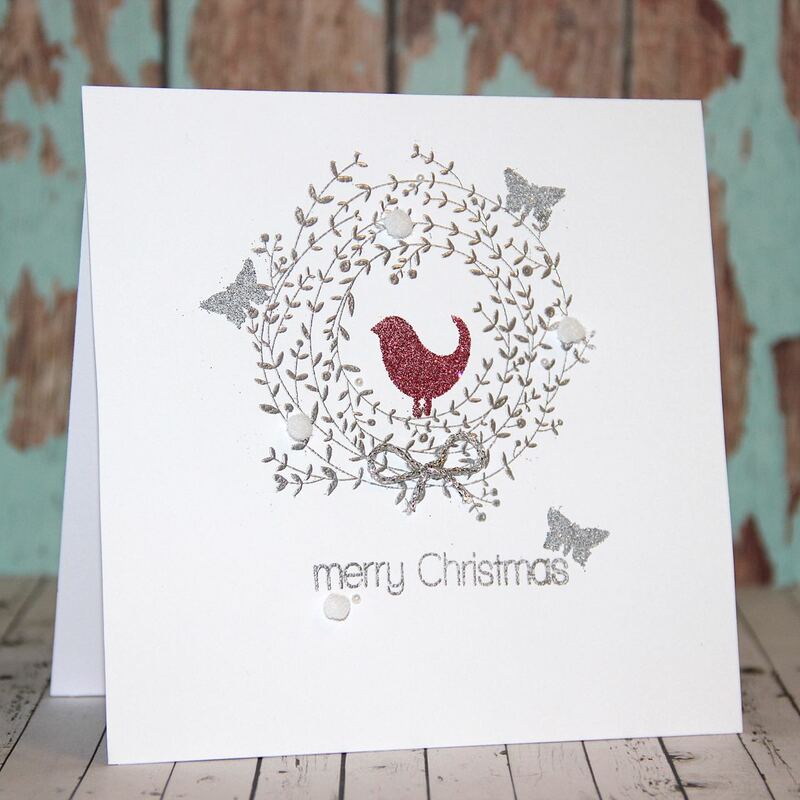 Beautiful embossing, pretty pops of red and white! Thanks for joining us at CASology, Kate!